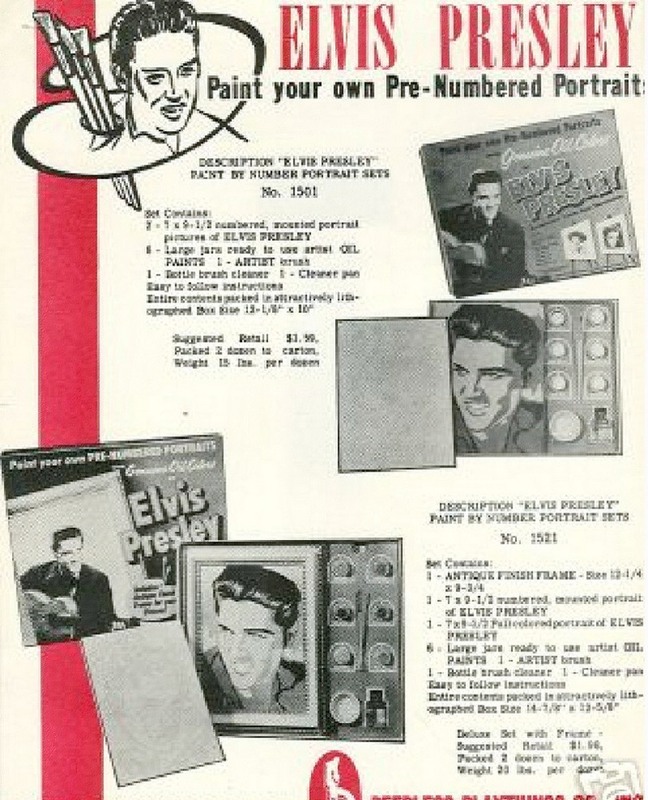 For those who wanted to be the next Rembrandt, a “Paint Your Own Pre-Numbered Portraits Of Elvis Presley”-kit hit the stores in 1957. In the US only though. 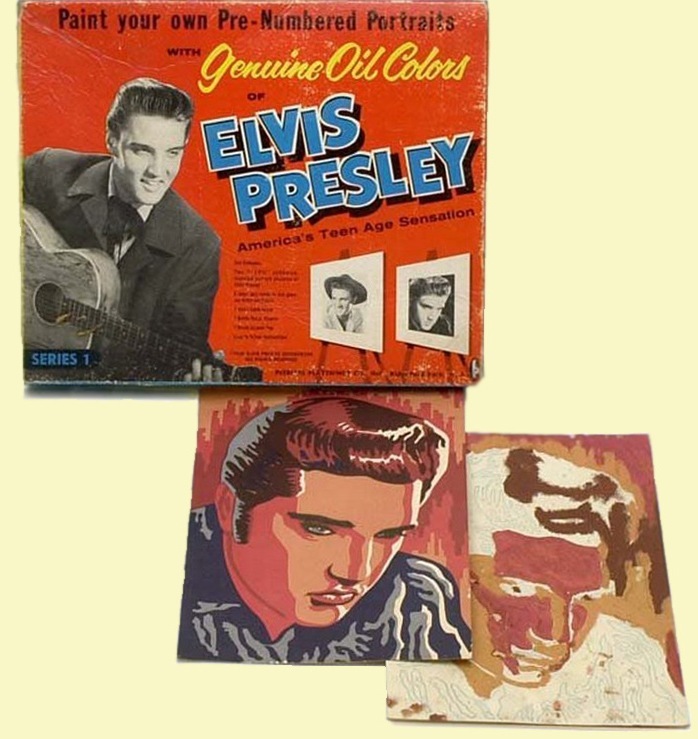 This box, containing 2 different line illustrations (connected by numbers), a brush, different colors of oil paint, and whatever else was needed to paint your own Elvis portraits, is one of the rarest collectors items around. A sample of a kid’s hard work, from way back when, is pictured to the right. It’s a heartwarming attempt to make it come out like the original picture. 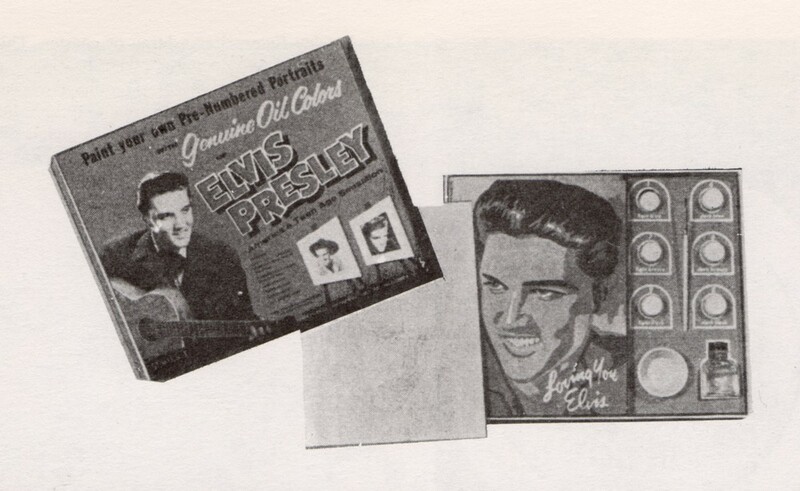 And from the company’s brochure (apologies for the low quality) we can see that actually two different ‘Paint Elvis’ kits were available: series 1 and series 2. No luck in finding the other original box, but I’ll keep trying. It would make my day for sure! 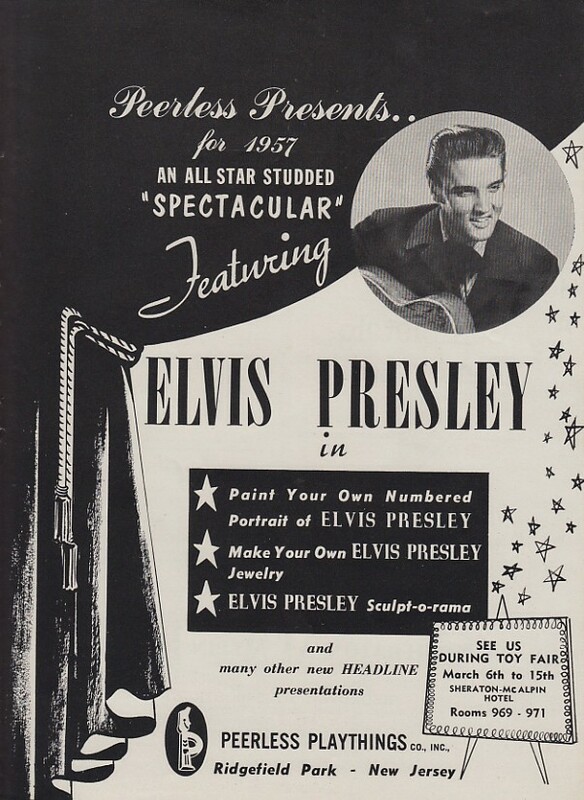 This page is scanned from the book Elvis Collectibles (2nd edition, 1987). It resembles the brochure, but the quality is a bit better. Thanks for putting this on Ger. I have never seen this before. weeks ago when I stumbled onto it on the internet by co-incident. clipping for it, long ago, but so far have not been able to find again. Wow! New to me!! Never seen this before. Thanks for sharing. Bob Ross was here! The Colonel sure had his ways to get money out of his boy. His creativity sure gave us great memorabilia. Thanks for posting! 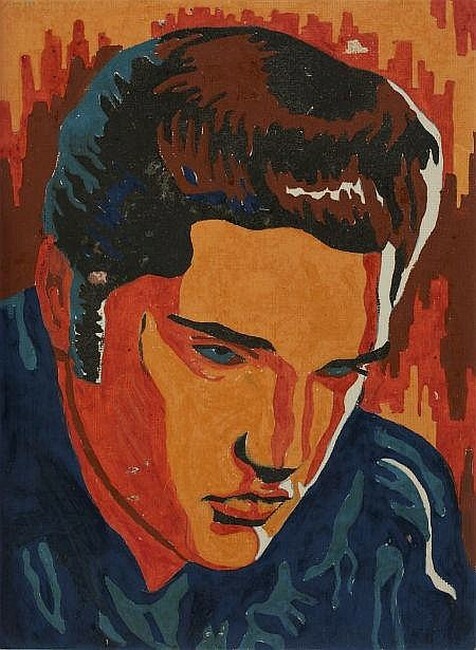 I have a: “painting your own pre-number portrait of Elvis Presley, including antique frame” i dont know anything about it. I dont know what year or series this is. It has the same pre-made picture but the box cover is a little different. It also has not been used. I have a 1957 paint by numbers painting. 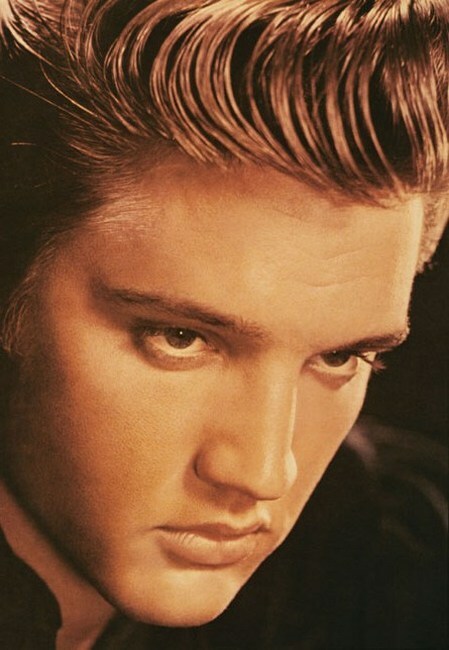 What makes mine special is that Elvis has signed it. I need someone to tell me what it’s worth and where to sell it. My name is Don and can be reached at 601-470-3750. Thanks. Hello, I believe that mine may be a first edition. It is unused in the box. You can contact me at 201-618-1790 and I can send you a picture.